The Clavery family settled in 1748 as a weaver in the commune of Lannemaignan, located in the southwest at the edge of the departments of Gers and Landes, in the best region of Bas-Armagnac (The Grand bas-Armagnac). 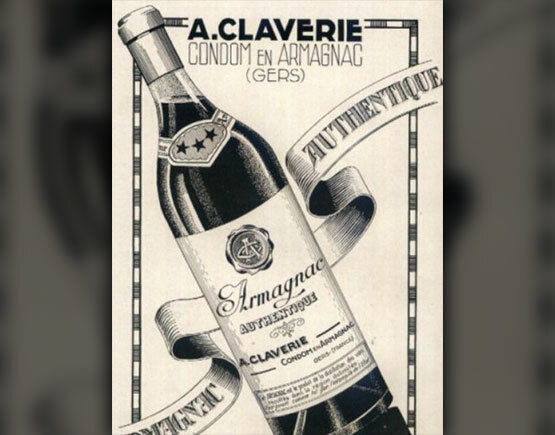 A few years later, after acquiring a few plots of land, the Clavery family became a producer of table wines and Bas-Armagnac. The tradition continues from father to son to reach Maxime Clavery, mayor of the commune of Lannemaignan as his ancestors, owning 8 hectares of vine. Paul Clavery, his son, arrives at 150 ha of agricultural land including 16 ha of Vine in production Bas-Armagnac, for a stock of pure alcohol of 270 Hl. 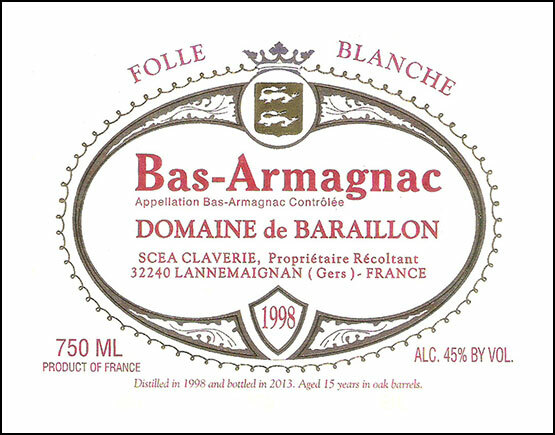 The grapes are the Folle Blanche, the Ugni Blanc and the Bacco for Armagnac, and the Colombard for table wine. In 2001, after graduating from the Professional Baccalaureate in Viticulture and Oenology, Laurence Clavery, his daughter, settled on the Domaine de Baraillon. 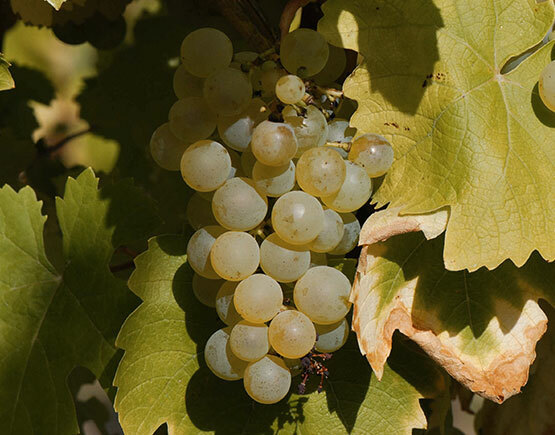 Planted grapes are Merlot and Cabernet Franc for red liqueur wine or table wine and Gros Manseng for white liqueur wine or table wine. 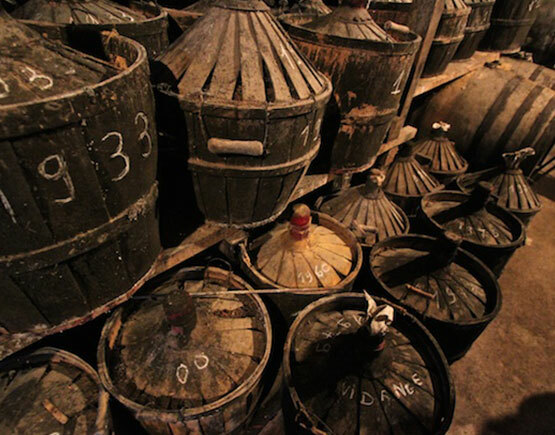 In 2002, the first production of liqueur wine. The Armagnac is distilled in the Armagnac tradition (52 degrees) and ages in the oak casks of the country of their cellars, in their field. This Bas-Armagnac was only recently transferred to the bottle, when they considered it perfect, entirely fulfilled by these long years of aging, preserving its natural strength (real degrees from 44° to 49° according to the vintages). 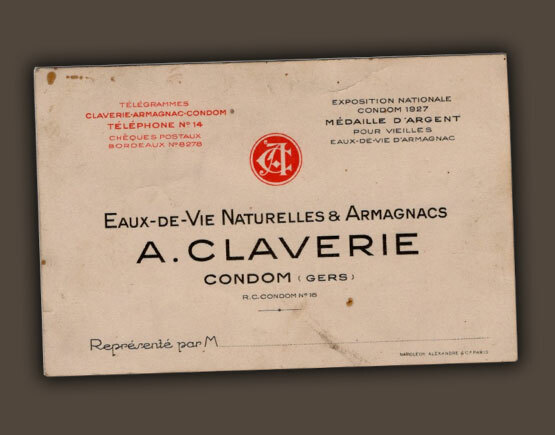 Claverie does not add water or caramel to their Bas-Armagnac to reduce the degree or accelerate aging. The Domaine de Baraillon, located on the communes of Le Frêche (Landes) and Lannemaignan (Gers), stretches over a surface of 20 hectares and the oldest Eau de Vie in their cellars is 1893. All their Bas-Armagnac are vintage from 10 years old. They are present in all of France and export to the United States, Germany, Spain, and Italy.